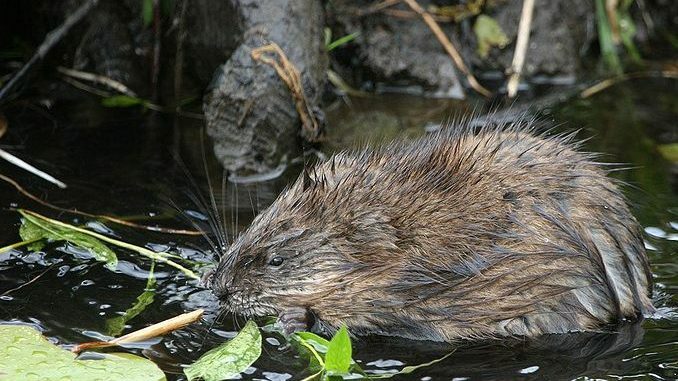 For almost eighty years, the citizens of Lower Alloways Creek, NJ had a special January tradition: the annual muskrat dinner. People from the town and from surrounding areas would come to the high-dollar, haute-cuisine gathering dressed in T-shirts with muskrat slogans, in muskrat costumes…. …okay, that’s not remotely true. They did come together for the muskrats, but it wasn’t to celebrate them. It was to eat them. It was closed down (or possibly temporarily halted) in 2018 due to a low muskrat population (a succession of particularly icy winters kept them from breeding heavily) and, simply, a lack of available volunteers. The price of muskrat pelts had dropped to virtually nothing in the current post-fur market, and trappers have stopped bothering to catch them. With volunteers needed for the trapping, the preparation, and the cooking, something had to give. The dinner was a fundraiser for the local fire department, headed by Fire Chief Steve Fisher. I know what many people are thinking: “muskrat” just doesn’t sound like the most appealing dinner. But it becomes something you’d want in your mouth when you separate it into its component parts, “musk” and “rat”. … Yeah, wandering straight back into the “untruth” again. I’m sure it’s a regional favorite, but as someone who’s sampled both lutefisk and blood soup, I have to admit that muskrat would still give me pause. The muskrats would probably be quite pleased to learn they’re temporarily off the dinner table. They might even spend their extended time on Earth listening to bizarre hits by 70s musical acts. Yes, the seventies were a time of rampant drug use, why do you ask? Question of the night: What’s a romantic song you like?